Born in Los Angeles, California, Noah Reitman* discovered classical music and the double bass in middle school. He was drawn to the warmth and expressive potential of the big string sound. Having diverse interests, Noah attended the University of Michigan where he majored in music as well as history. He then went on to get a Master’s degree from Indiana University, and a Professional Studies Certificate from the Manhattan School of music. After spending a couple of years freelancing in New York, Noah was offered a fellowship at the New World Symphony, where he was able to work with some of the brightest lights in classical music. As a result, he won his current position as Assistant Principal Bass of the Vancouver Symphony. 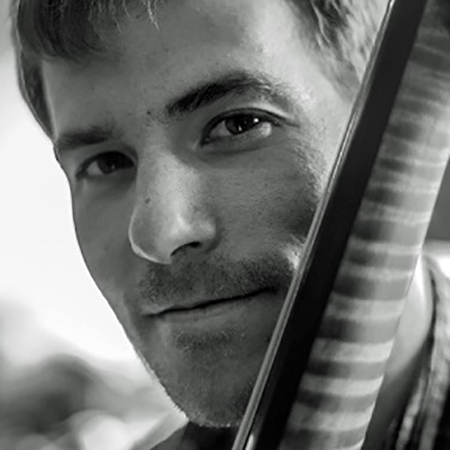 Noah has also played with the symphonies of Pittsburgh, Detroit, Atlanta, and Nashville, and has spent several summers at the Verbier Festival in Switzerland playing orchestral and chamber music. Noah’s teachers include Diana Gannett, Lawrence Hurst, David Grossman, Jeffrey Turner, Leigh Mesh, Peter Lloyd, David Young and countless other musicians who took the time to help him along the way. With a desire to give back, Noah teaches privately, and is also a member of the summer faculty at Idyllwild Arts in Southern California.